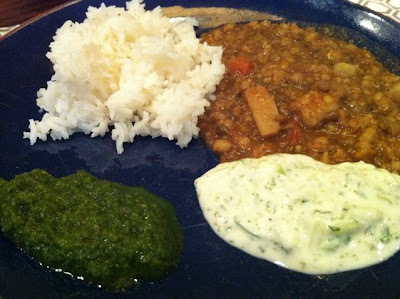 Ruby made mung bean dal, with jasmine rice, cilantro chutney and raita for Myrna, Goldie, Phil and I. Eating is going OK, but I need to learn to reduce my portion size to accommodate my new digestive system, I get hiccups after eating which are uncomfortable. 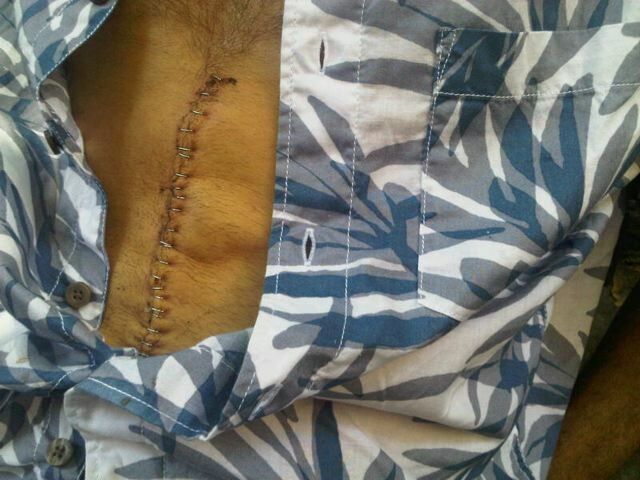 The place where they cut me open is healing, stitches come out on Wednesday. My dear old friend. I had no idea you were ill. I am sending you much love. I would love to come visit you when I am back in NYC in Sept.
Holy Mung bean! You're eating the Indian! YEAH! Amazed at your high spirits and continue to with you the best. That is going to be one manly scar when it heels! Suggestion: Basmati Rice is easier to digest than white rice. Keep on healing! This so amazing! Whoa. That is a badass scar. Thinking of you a lot, D.